Dish, pot and pan brush. 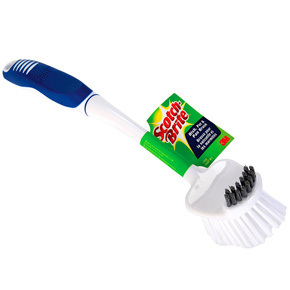 The scotch-brite brush has an ergonomic handle. The white side is used to clean dishes and the grey side is used to remove baked residues.